What is fly fishing with nymphs? Nymphs have often saved the whole fishing trip when nothing else works and catching a trout with a fly feels impossible. Fly fishing with nymphs is one of the most effective flyfishing techniques, because you can serve your fly right in front of the fish. 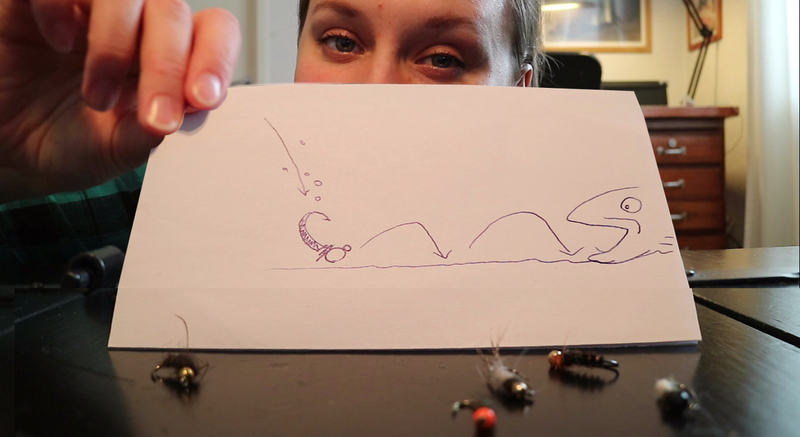 On this episode we are going to look the basics of fly fishing with nymphs. Nymphs have often saved the fishing trip when nothing is happening and nothing else is working. You’ll see what I mean on the video. Fish are most often staying at the bottom of the river in a nice cozy place where they have shelter and they can just wait for the current to bring their next meal. It would take a lot of energy to rise all the way up to the surface to catch one little bug for dinner. Therefore, when you use nymphs you can serve your fly right in front of the fish, which is lurking in the bottom. Especially if your nymph has a heavy bead head it sinks to the river bottom. Your fly sinks to the bottom, and the heavy head goes first so it’s not so likely to get stuck. Then just let the fly bounce against the bottom or at least very close to the bottom. That way the nymph swims right in front of the fish. And therefore it’s an easy decision for your target fish to go for it. On the video you’ll get my super fancy illustration how this works. 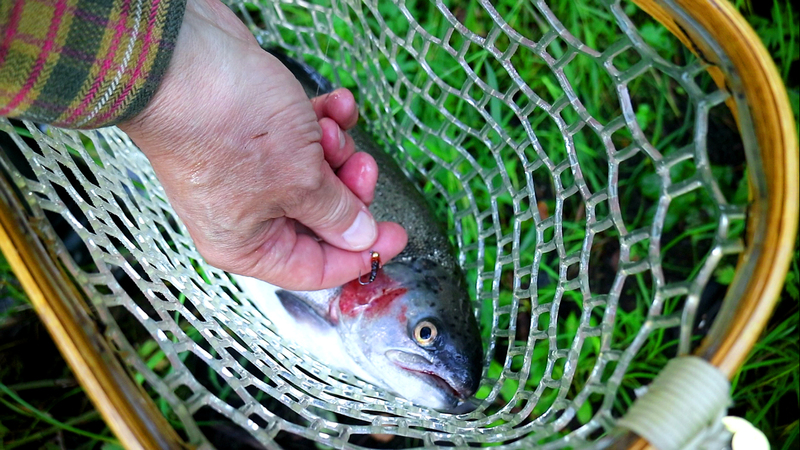 This video is part of my 10k Fly Fishing Experiment. 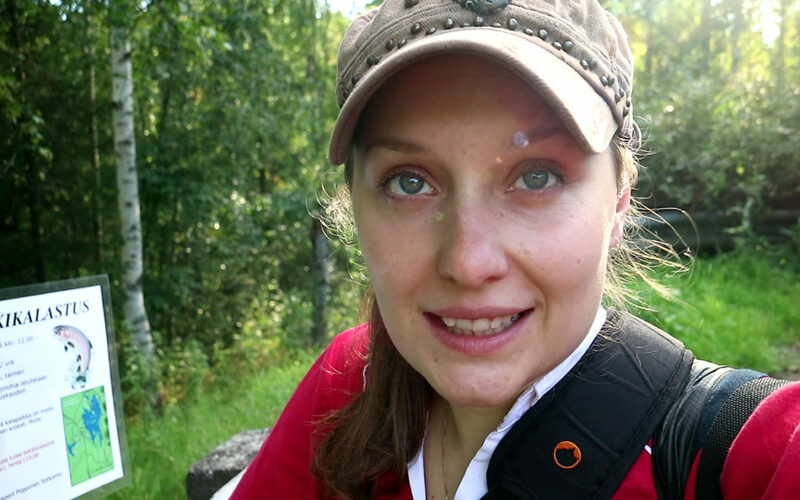 I want to share these outdoor adventures with you, to inspire you to get outside while teach you fly fishing tips. 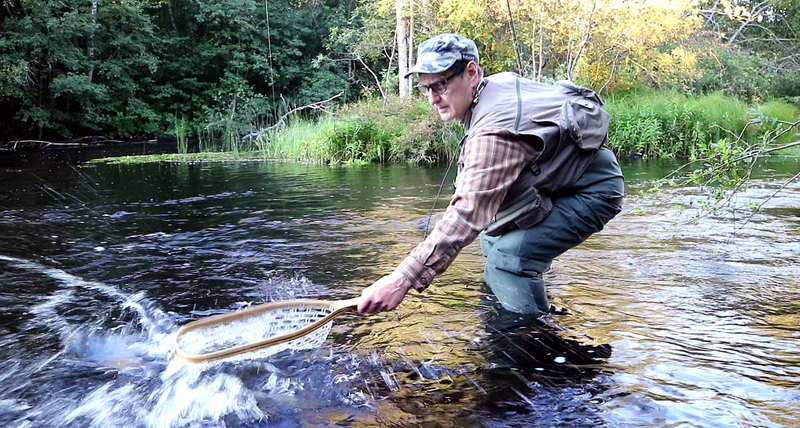 Episode 026 of 10K Fly Fishing Experiment. Hours 263 to 268 out of 10000. Fly-fishing in Jormasjoki River in Sotkamo / Vuokatti in Kainuu. Fishing in Finland. You’ve now learned the basic principle with nymph fishing and why it’s so alluring for the fish. And as you know it’s all about knowing those little tricks and tips. If you want more fly fishing tips, go ahead and download your fly fishing cheat sheet. It’s totally free. Nymph fly fishing works. If you get the perfect conditions for dry fly and happen to be there for hatching that’s great, but most of the days it’s nymphs.